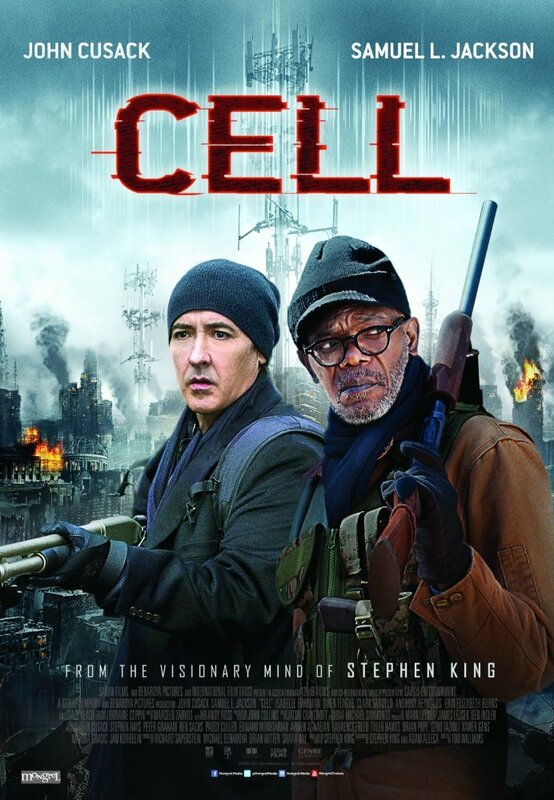 CELL deals with two men (John Cusack, Samuel L. Jackson) who band together after a worldwide cell phone attack that transforms humans into rampaging zombies and journey to find Cusack's missing wife and son. What follows are 98 minutes of WALKING DEAD extras, poor CGI effects, zero chemistry acting, low budget locations, and veteran actor Stacy Keach showing up just long enough to pay off his yacht. This Stephen King Cliff's Notes is available for streaming on Amazon and YouTube, but as always, you're better off leaving this warmed over horror turd to us and go watch THE SHINING again instead.